This is the video I’ve just uploaded on YouTube about my two volume book on slavery, its abolition and the campaign against it in the British Empire, The Global Campaign, which I’ve published with Lulu. The video explains that it grew out of my work as a volunteer at the former Empire and Commonwealth Museum in Bristol, helping to catalogue the archive of government documents that they had been granted by the Commonwealth Institute. I was busy summarizing these documents for a database on materials on slavery the Museum wanted to compile. Going through them, it became clear that the long process of its abolition in the Caribbean was just part of a wider attempt by the British to suppress it right across our empire, from Canada and the Caribbean across the Cape Colony, now part of South Africa, the Gold Coast, now Ghana, Sierra Leone, founded as a colony for freed slaves, central Africa, and what are now Tanzania, Malawi and Uganda, Egypt, the Sudan and the North African parts of the Turkish Empire, to India, Sri Lanka, Hong Kong, Java and Malaysia, and into the Pacific, in Fiji, Australia and the Pacific Island nations. Legislation in one section of the Empire, for example, the Caribbean, was also passed elsewhere, such as Cape Colony, Mauritius and the Seychelles. The British were aided in their campaign to stamp out slavery in Egypt, the Sudan and Uganda by the Egyptian ruler, the Khedive Ismail. They also signed treaties banning the slave trade from East Africa with the Imam of Muscat, now Oman, the ruler of Zanzibar and Pemba and the suzerain of some of the east African coastal states. There was also an invasion of Abyssinia, now Ethiopia, in retaliation for their raiding of the neighbouring British territories for slaves. As well as trying to suppress the enslavement of Africans, the British were also forced to attack other forms of slavery, such as the forced kidnapping and sale of indentured migrant labourers from India and China in the infamous ‘Coolie Trade’, and the similar enslavement of the indigenous peoples of the Pacific for labour on the sugar plantations in Fiji and Queensland. I also explain how one of the first English-speaking countries to ban slavery was Canada, where enlightened governors and judges twisted the interpretation of Canadian law to show that slavery did not officially exist there. The video’s about ten minutes long. Unfortunately, I don’t say anything about the role Black resistance to slavery, from simple acts like running away, to full scale rebellions had in ending it, or of colonial governors and legislatures. But the book does mention them. 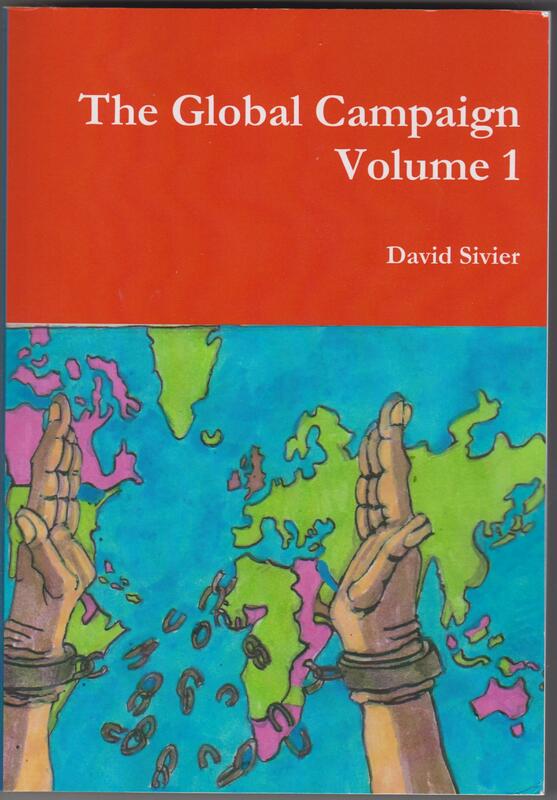 On Monday I finally got the proof copies I ordered of my book, The Global Campaign, which I’ve just published with Lulu, the print on demand service. The book’s in two volumes, which have the subtitles on their first pages The British Campaign to Eradicate Slavery in its Colonies. The book’s in two volumes. Volume One has the subtitle The Beginnings to Abolition and the British Caribbean, while Volume Two is subtitled Africa and the Wider World. British imperialism created an empire stretching from North America, the Caribbean, Africa, Asia, and the Pacific, much of whose population were slaves. Global Campaign tells how slavery in the British Empire arose, the conditions and resistance to it of the peoples they enslaved, and the steps taken to end it by the abolitionists across the Empire and the metropolitan authorities in London. The first volume of this book, Volume 1: The Beginnings to Abolition and the British Caribbean describes the emergence of this Empire, and the attempts to end slavery within it up to end of apprenticeship in 1838. Volume 2: Africa and the Wider World describes how the British tried to end it in their expanding Empire after 1838. It describes how abolition became part of the ideology of British imperialism, and spurred British expansion, annexation and conquest. The two volumes also discuss the persistence of slavery after abolition into the modern world, and its continuing legacy across continents and cultures. Chapter 3: Abolition, Apprenticeship and Limited Freedom, 1833-1838. Both volumes also have an index and bibliography. I also drew the cover art. Volume 1 is 385 pages A5, ISBN 978-0-244-75207-1, price 12.00 pounds. Volume 2 386 pages A5, ISBN 978-0-244-45228-5, price 12.00 pounds. Both prices exclusive of VAT. The books are based on the notes and summaries I made for the British Empire and Commonwealth Museum of some of the official documents they’d acquired from the Foreign and Commonwealth Office on slavery. I also supplemented this with a mass of secondary reading on slavery, the slave trade and the British Empire. It’s a fascinating story. I chose to write about slavery in the British Empire as a whole as I found when I was looking through the documents that slavery certainly wasn’t confined to the Caribbean. It was right across the world, though most of the published books concentrate on slavery in the US and the Caribbean. 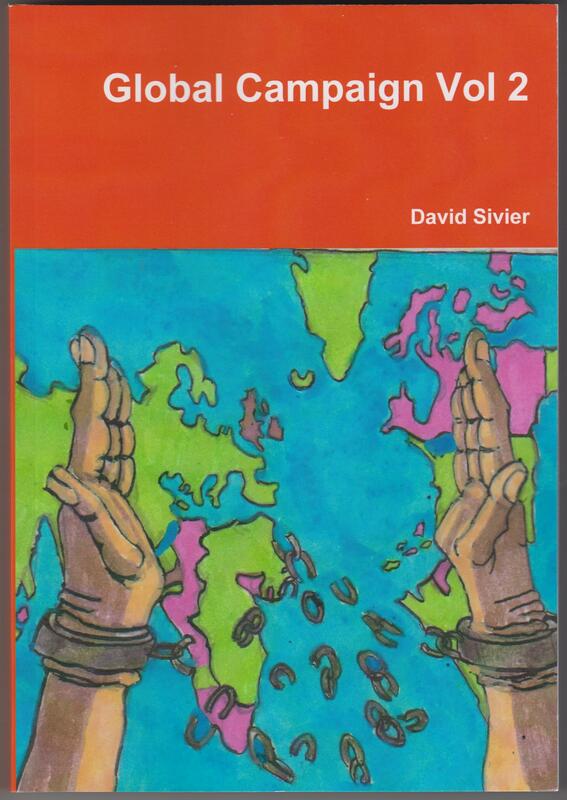 There has been a recent book on slavery and abolition in British India and Ceylon, now Sri Lanka, and I remember seeing a book on the British campaign against slavery in the Pacific, published, I believe, from one of the antipodean publishers. I doubt very many people in Britain are aware that it existed in India and Sri Lanka, and that attempts to outlaw it there date from c. 1798, when the British judge of the Bombay (Mumbai) presidency ruled that it was illegal. Similarly, general histories of slavery do mention the infamous ‘coolie trade’ in indentured labourers from India and China. They were imported into the Caribbean and elsewhere around the world in order to supply cheap labour after the abolition of slavery in 1838. However, they were treated so abysmally in conditions often worse than those endured by enslaved Blacks, that it was dubbed by one British politician ‘A new system of slavery’. There’s an excellent book on it, with that as its title, by Hugh Tinker, published by one of the Indian presses. General books on slavery also discuss the enslavement of indigenous Pacific Islanders, who were kidnapped and forced to work on plantations in Fiji and Queensland in Australia. But again, I doubt if many people in the UK have really heard about it. And there are other episodes in British imperial history and the British attempts to curb and suppress slavery around the world which also isn’t really widely known. For example, abolition provided some much of the ideological impetus for the British conquest of Africa. Sierra Leone was set up in the late 18th century as a colony for freed slaves. But the British were also forced to tackle slavery and slaving in the Gold Coast, after they acquired it in the 19th century. They then moved against and conquered the African kingdoms that refused to give up slaving, such as Ashanti, Dahomey and the chiefdoms around Lagos. It’s a similar story in east Africa, in what is now Tanganyika, Zambia, Rhodesia (Zimbabwe) and Malawi. The British initially wished to conquer the area as part of the general European ‘Scramble for Africa’, and their main rivals in the region where the Portuguese. But the British public were also aware through the missionary work of David Livingstone that the area was part of the Arabic slave trade, and that the indigenous peoples of this region were being raided and enslaved by powerful local African states, such as the Yao and the Swahili as well as Arabs, and exported to work plantations in the islands of Zanzibar and Pemba off the east African coast. At the same time, Indian merchants were also buying and enslaving Africans from that area, particularly Uganda. The British were also concerned to crush slavery in Egypt after they took control of the country with the French. They encouraged Khedive Ismail, the Egyptian ruler, to attempt to suppress it in Egypt and then the Sudan. It was as part of this anti-slavery campaign that the Khedive employed first Colonel Baker and then General Gordon, who was killed fighting the Mahdi. At the same time, Stamford Raffles in Singapore and Raja Brooke of Sarawak justified their conquest and acquisition of these states as campaigns to end slavery in those parts of Asia. The British also took over Fiji at the request of the Fijian king, Cakabau. White Americans and Europeans had been entering the country, and Cakabau and his advisors were afraid that unless the country was taken under imperial control, the settlers would enslave the indigenous Fijians. Indeed, Cakabau had been made king of the whole of Fiji by the colonists, though he was acutely aware of how he was being used as a figurehead for effective White control of his people. At the same time, the White planters were also forming a White supremacist group. So he appealed to the British Empire to takeover his country in order to prevent his people’s enslavement. British imperial slavery started off with the British colonies in the Caribbean and North America. I’ve ignored slavery in the US except for the period when it was part of the British Empire. The Canadians ended slavery nearly two decades before it was formally outlawed throughout the British Empire. It was done through enlightened governors, judges as well as abolitionists outside government. The country’s authorities did so by interpreting the law, often against its spirit, to show that slavery did not legally exist there. There were attempts by slaveowners to repeal the legislation, but this was halfhearted and by the 1820s slavery in Canada had officially died out. After the British acquired Cape Colony at the southern tip of Africa, the very beginning of the modern state of South Africa, they were also faced with the problem of ending the enslavement of its indigenous population. This included the indigenous Khoisan ‘Bushmen’, who were being forced into slavery when they took employment with White farmers. At the same time, the British were trying to do the same in Mauritius and the Seychelles after they conquered them from the French. The British initially started with a programme of gradual abolition. There was much debate at the time whether the enslaved peoples could support themselves as independent subjects if slavery was abolished. And so the abolitionists urged parliament to pass a series of legislation slowly improving their conditions. These regulated the foods they were given by the planters, the punishments that could be inflicted on them, as well as giving them medical care and support for the aged and disabled. They also tried to improve their legal status by giving them property rights and the right to be tried in ordinary courts. Special officials were set up, the Guardians and Protectors of Slaves, to examine complaints of cruelty. This gradualist approach was challenged by the female abolitionists, who grew impatient with the cautious approach of the Anti-Slavery Society’s male leadership. They demanded immediate abolition. I’ve also tried to pay tribute to the struggle by the enslaved people themselves to cast off their shackless. In the Caribbean, this took the form of countless slave revolts and rebellions, like Maroons in Jamaica, who were never defeated by us. At the same time a series of slaves came forward to accuse their masters of cruelty, and to demand their freedom. After the Lord Mansfield ruled that slavery did not exist in English law in the late 18th century, slaves taken to Britain from the Caribbean by their masters presented themselves to the Protectors on their return demanding their freedom. They had been on British soil, and so had become free according to English law. They therefore claimed that they were illegally kept in slavery. As you can imagine, this produced outrage, with planters and slaveowners attacking both the anti-slavery legislation and official attempts to free the slaves as interference with the right of private property. This legislation was introduced across the Empire. The same legislation that regulated and outlawed slavery in the Caribbean was also adopted in the Cape, Mauritius and the Seychelles. And the legislation introduced to ensure that indentured Indian and Chinese labourers were treated decently was also adopted for Pacific Islanders. Slavery was eventually abolished in 1833, but a form of servitude persisted in the form of apprenticeship until 1838. This compelled the slaves to work unpaid for their masters for a certain number of hours each week. It was supposed to prepare them for true freedom, but was attacked and abandoned as just another form of slavery. Unfortunately slavery continued to exist through the British Empire in various forms despite official abolition. The British were reluctant to act against it in India, Sri Lanka, Singapore, Java and Perak in what is now Malaysia because they were afraid of antagonizing the indigenous princes and so causing a rebellion. In Egypt they attempted to solve the problem by encouraging the slaveowners as pious Muslims to manumit their slaves freely as an act of piety, as the Prophet Mohammed urges them in the Qu’ran. In the Caribbean, the freedom the former slaves enjoyed was limited. The British were afraid of the plantation economy collapsing, and so passed legislation designed to make it difficult for the freed people to leave their former masters, often tying them to highly exploitative contracts. The result was that Black West Indians continued to fear re-enslavement long after abolition, and there were further riots and rebellions later in the 19th century. In British Africa, the indigenous African peoples became second class citizens, and were increasingly forced out of governmental and administrative roles in favour of Whites. Some colonies also conscripted African labourers into systems of forced labour, so that many came to believe that they had simply swapped one form of slavery for another. The result has been that slavery has continued to persist. And it’s expanded through people trafficking and other forms of servitude and exploitation. The book took me on off several years to write. It’s a fascinating subject, and you can’t but be impressed with the moral and physical courage of everyone, Black and White, who struggled to end it. I chose to write about it in the British Empire as while there are many books on slavery across the world, there didn’t seem to be any specifically on the British Empire. Studying it also explains why there is so much bitterness about it by some people of West Indian heritage and how it has shaped modern politics. For example, before South Sudan was given its independence, Sudan under the British was effectively divided into two countries. In the southern part of the country, the British attempted to protect the indigenous peoples from enslavement by banning Arabs. They were also opened up to Christian evangelization. In the Arab north, the British attempted to preserve good relations by prohibiting Christian evangelism. I also attempt to explain how it is that under the transatlantic slave trade, slavery became associated with Blackness. In the ancient world and during the Middle Ages, Whites were also enslaved. But Europeans started turning to Black Africans in the 14th and 15th centuries when it became impossible for them to buy Slavs from eastern Europe. So common had the trade in Slavs been that the modern English word, slave, and related terms in other languages, like the German Sklave, actually derive from Slav. It’s been fascinating and horrifying writing the book. And what is also horrifying is that it persists today, and that new legislation has had to be passed against it in the 21st century. This is a short clip, of just over a minute, of Jeremy Corbyn at Bristol’s City Hall, put on YouTube on Thursday by the Daily Fail. Corbyn speaks on the need to educated children about Britain’s role in the slave trade and the British Empire, and mentions Bristol as one of the cities involved in the trade, like Liverpool, and some of whose merchants became rich from it. He states that it’s important people understand the treatment of Black people across the Empire and the contribution they made to it. He says that Windrush has highlighted this need, and the making sure all our children understand the history of the Empire will make our communities stronger. The video shows him descending the ramp leading up to the Council House’s entrance, and inside standing in a dock watching a video on the Empire, or slavery. Jeremy Corbyn today unveiled proposals to ensure schoolchildren are taught about the legacy of Britain’s role in slavery and colonialism. The move comes on the same day as Labour faces accusations that it is ‘putting ideology first and children second’ with its plans to impose a new rule book on all schools. The National Curriculum already recommends that children learn about the slave trade, the British Empire and colonies in America. Mr Corbyn said that ‘in the light of the Windrush scandal’ it is ‘more important now than ever’ that children learn ‘the role and legacy of the British Empire, colonisation and slavery’. Pictured top right, a drawing showing a slave ship and bottom right, immigrants arriving on the Empire Windrush in 1948. Thangam Debonnaire, the Blairite MP for Bristol West, also got into the I on a related issue. She had stated at a council meeting that the statue of Colston in the centre of Bristol should be taken down. Colston was a Bristol slave trader, who spent most of his life actually in Mortlake in the London area. He used some of the profits he made from his slaving to do charities in Bristol, including Colston Girls school. Redcliffe School, an Anglican faith school in Bristol, which Mike and I attended, was also endowed by Colston. Every year there is a Colston Day service at which a select group of pupils are given a Colston bun. The big concert hall in the city centre is also named after him. He’s obviously a very controversial figure, and the Black community has been demanding since the 1990s to have the statue of him taken down. Debonnaire has added her voice to the campaign, saying that we shouldn’t commemorate those who have oppressed us. Mark Horton, a professor of archaeology at Bristol University, was also on the local news programme for the Bristol area, Points West, on Thursday as well, talking about the statue, the debt Bristol owes to Africa and the need for museums here on slavery or Africa. When asked about Colston’s statue, he made the point that it wasn’t even a very good statue. It’s not actually very old, dating from the late Victorian period. He felt that instead there should be a plaque explaining Colston’s role in the enslavement of Africa’s people, and the statue should be packed in a crate in the City Museum. He stated that if we wanted our children to be world citizens, we should also have a museum dedicated to slavery and Africa, like Liverpool’s Museum of slavery. David Garmston, the co-host of the news programme, said that Bristol already had a gallery on slavery at the M Shed here in Bristol. Horton agreed, but said that it was a small one. He then referred to the exhibition at the City Museum back in the 1990s, entitled ‘A Respectable Trade’, which went on at the same time as the TV series of the same name, based on the novel by Philippa Gregory. This had a huge number of people attending. Mark said that he had worked in Africa, and had seen for himself the damage imperialism had done, and a museum to Africa was the least we could do. Listening to him, it struck me that what was really needed was for the Empire and Commonwealth Museum to be revived and brought back to Bristol. I did voluntary work in the slavery archives of that museum from the 1990 to the early 2000s. It was a private museum housed in one of the engine sheds in Bristol’s Temple Meads station. And it did a good job of representing the peoples and cultures of the British Commonwealth, including marginalized indigenous peoples like the Australian aborigines. Unfortunately, in the early part of this century the Museum was offered the premises of the Commonwealth Institute in London. They accepted and went off to the capital. The Museum failed, and the last I heard its former director, Dr. Gareth Griffiths, was being investigated for illegally selling off the Museum’s exhibits. He claimed he was only doing so as the trustees hadn’t given him enough money to keep it running. In my opinion, the Museum should never have been moved from Bristol. If it had still remained here, I’m sure it would still have been running, and would have been a major part of Bristol heritage sector. I’ve got mixed feelings about these proposals. I’ve no objection to a museum of slavery in Bristol. Liverpool has one, and other cities around the world also have them. Roughly at the same time Bristol was mounting its ‘Respectable Trade’ exhibition, Nantes was also mounting a similar one on its history as France’s main slaving port, called ‘Les Annees du Memoir’. The slave fort at Elmina in Ghana, one of the main areas from which western ships collected their human cargo, also has an exhibition on its part in the slave trade. However, I feel that every care needs to be taken to prevent such exhibitions being used to inculcate White guilt, to express the attitude that White Bristolians are somehow indelibly and forever guilty because of what their ancestors did. And there are grave problems with any museum of slavery which does not include the wider background to the European transatlantic slave trade. Slavery has existed in various forms across the world since antiquity. The Arabs also conducted a trade in Black slaves from Africa. They were driven across the Sahara into the North Africa states, and sometimes beyond. During the Middle Ages, they were imported into Muslim Spain. The Arabs also exported them across the Indian Ocean to what is now India, Pakistan and Afghanistan, as well as Arabia. Indigenous African peoples were also involved in the trade. One of the chief slaving states in West Africa was Dahomey. In East Africa, in what is now Kenya, Uganda and Malawi, the slaving peoples included the Swahili and Yao. The Europeans didn’t, as a rule, enslave Africans directly themselves. They bought them off other Africans, who could also make immense profits from them. Duke Ephraim, one of the kings of Dahomey, had an income of 300,000 pounds a year in the 1820s, which was larger than that of many English dukes. After the British banned the slave trade and then slavery themselves, they launched a campaign against it across the globe. the east African countries that became Uganda, Kenya, Malawi and Rhodesia were invaded and conquered as they were centres of the Arab slave trade and the British wanted to prevent them from exporting their human cargo to British India. In some parts of Africa, slavery lingered into the early years of the 20th century because those countries weren’t conquered by the British. Morocco continued importing slaves from Africa south of the Sahara until c. 1911 because the British prevented the other European countries from invading. At the same time, North African Arab pirates preyed on and enslaved White Europeans until Algeria was invaded and conquered by the French. It is estimated that 1 1/2 million Europeans were enslaved over the centuries in this way. Slavery also existed in Indian society, and the British were responsible for trying to suppress that also in the 19th century. Then Indians, and also the Chinese, were also virtually enslaved too in the infamous ‘Coolie Trade’ in indentured Indian servants, who were imported into the British Caribbean and elsewhere, to replace the Black workers, who had been freed. The Indian and Chinese workers were technically free, but were bound to their masters and worked in appalling conditions that were actually worse than those endured by the former Black slaves. The history of slavery is complex. It is not simply a case of White westerners preying on people of colour, and I feel strongly that any museum set up to show the history of this infamous trade should show that. In this short clip from RT’s Going Underground, main man Afshin Rattansi reports on and comments on the British army’s latest attempts to recruit more squaddies, as well as the time when Donald Trump appeared to be an anti-war candidate. The clip was posted on July 15, 2017, when Defence Secretary Michael Fallon was attending an air tattoo here in the UK. In order to find 12,000 new recruits for the army, the government started looking for them in sub-Saharan Africa. Rattansi then pointedly comments that if there are viewers from that region of the continent, from poor and starving nations like Malawi, Mozambique or Sierra Leone, and they fancy dying for Britain, they can get through to army recruitment on the following number. He also talks about the army’s attempts to recruit child soldiers using a video, This Is Belonging. It shows one squaddy walking behind his a truck carrying a load of his mates. At first they tease him by slowing down, so that he thinks he can climb in, before speeding up and pulling slightly away. They then slow down again, he manages to climb him, and is greeted with cheers and comradely backslaps from his mates. Rattansi discusses how this video has been criticised by an anti-war group, Child Soldier International, because it is aimed at young people aged 16-25. And in particular those from the poorest and least educated sections of society. The video is also targeted at the good folk of the northern towns, which have been hardest hit by Thatcherism. He also quotes the response from the government’s outsourcing partner, Capita, which predictably finds nothing wrong in this. He then goes on to say that there is evidence from America that when poor kids, like those targeted by Capita’s wretched film, do come back from fighting and dying, they vote for anti-war candidates. Like Donald Trump. ‘You do remember when Trump was anti-war, right?’ he asks. He then plays footage of Trump telling the crowd that if he gets in, he will not send any more troops to the Middle East. It’s unjust to the millions of people that’ve been killed there, as well as to America. Thanks to the wars in the Middle East, America’s roads and hospitals aren’t properly maintained. If he gets in, he’ll stop the war and spend the money on that instead. Child Soldier International isn’t the only organisation that has expressed concern about the UK’s recruitment of child soldiers. The issue got into the papers, or at least the I a few weeks ago. We are the only nation in Europe, I believe, that recruits children of 16 years old. Michelle, one of the great commenters on this blog, has also posted comments talking about the concerns of peace groups about the way the British army goes into schools to recruit there. This used to happen at my old school here in Bristol. I don’t remember it ever happening to us in the top streams, but certainly recruiting films were shown to the less bright in the lower bands. One of our art teachers, a woman of left-wing opinions, was outraged by this. Someone told me that her father had been an air-raid warden during the War, and so had seen the bits of bodies strewn amongst the rubble after a bomb strike. If that was the case, then it’s not hard to see why she hated war, and those who seduce the young into fighting in one, so much. As for Trump, I do remember when he was anti-war. Just like he also suggested at one point he was in favour of Medicare for All. Now he’s turned out to be no such thing. It was all lies. The result has been that many of the people, who voted for him are seriously disillusioned, and this is contributing to opposition to Trump within the GOP. A few days ago I came across a video on YouTube with the title, ‘Trump Will Destroy Capitalism’. I don’t think he will, but he’s certainly doing his damnedest. And if he does destroy it, then it won’t come too soon. Ryan Fleming, the Nazi Satanist and wannabe vampire, isn’t the only Rightist to have tried putting pen to paper, or fingers to keyboard. Matthew Collins in the anti-racist, anti-religious extremism magazine, Hope Not Hate, has also written a piece about Joseph William Evans, the Kipper candidate for the Boothby and Ellenbrook Ward in Salford. As well as being a party activist, Evans has described himself as an enthusiast for the views of Oswald Mosley and eugenics, and has written two books on them. These are Problems of Democracy and Eugenics: The Hope Denied, both on Amazon. Oswald Mosley was the leader of the British Union of Fascists in the 1930s just before World War II, while eugenics is the discredited science of selective breeding that saw hundreds of thousands of people sterilised as a threat to the biological stock of the human race in the Europe and America, and murdered outright by the Nazis during the Third Reich. Evans is also unimpressed by the people in his own party. He states he has lost his faith in it for trying to suppress his views. He accuses them of lying to the public, and going overboard to show its members mixing with Black people in order to dispel their racist image. Given Evans’ own support for Mosley’s ideas, I wonder why he isn’t in the avowedly Fascist group, the New British Union. Its leader and members so desperately want to be Mosley and the BUF that they positively scream it at you. They even have an all-black uniform, complete with cap, and flags with a lightning bolt symbol, rather like Mosley’s. No doubt they dream one day of winning an election, in which case they’ll party like it’s 1939. Now there are problems with democracy. It’s constructed to provide popular government, rather than good government. Though considering the way it’s been perverted and twisted by decades of micromanagement, spin doctors and highly staged political events, modern democracy could possibly be best described as a sham, designed to provide a populist veil for what is actually a corporatist oligarchy manipulating politics. And you could possibly justify Mosley’s plan to replace the unelected House of Lords with a Chamber of Corporations, as in Fascist Italy. This would be organised according to industry, and include representatives of the trade unions and labour, as well as management, in order to debate and manage the national economy. Such as system could possibly be advocated on the grounds that it would be an extension of democracy, representing the people as workers. G.D.H. Cole makes precisely this case in his Guild Socialism Restated, in which he argued for a quasi-syndicalist reorganisation of British industry and the state in order to extend democracy into the economic and industrial spheres. But I really don’t think Evans is interested in extending democracy. After the War, Mosley stated that he was no longer in favour of the Corporate state, considering it ‘too bureaucratic’. I also can’t imagine Evans, as a Kipper, also having any enthusiasm for another of Mosley’s ideas – that of a united Europe under a kind of international Fascist corporatist order. Other ideas of Mosley’s are also likely to be non-starters. For example, Mosley wanted east Africa to be developed for White colonisation. Well, Kenya, Uganda, Malawi, Tanzania and Zimbabwe have had their independence for three decades and more now. And even if they don’t like the rulers they have now, they probably don’t want the return of White rule. That was why they kicked us out in the first place. And they certainly won’t want to be displaced and dispossessed in favour of further White colonists. This just about leaves only dictatorship and authoritarianism as the Mosleyite solution to the problems of democracy. Which contrasts very much with Evans’ statement that he is trying to encourage feelings of revolt and emancipation. Unless, of course, he’s heading down the same path as the German Neo-Nazis in sneering at democracy as ‘democratorship’ – demokratur. The other policy of Mosley’s that also springs to mind that might be favoured by Evans is his advocacy of a form of apartheid – for cultural reasons – to keep Jews and non-Whites separate from the rest of the British population. According to his website, Evans also has another book due to be published soon. It’s an attack on the monarchy, The Queen Must Go. He rants about how Brenda is an oppressive institution, soaking up our cash. He has a point in that an hereditary monarchy is an anomaly in an era of democracy, and the royal family is expensive to maintain. There are millions of people, who undoubtedly would like to see a republic. Just as there are millions of others, who believe the Queen does an excellent job as a non-political head of state, and stress the importance of history and tradition. In this debate, Evans may well have scored an own goal. Possibly the strongest argument for retaining the monarchy is that, so long as it exists and remains above politics, it provides a check to Nazis like him taking control. But if that’s his views on the monarchy, then I’m not surprised the other Kippers don’t like him. I got the impression that UKIP was very much on the side of the traditionalist, ultra-Conservative right, who definitely did not want further fiddling with the constitution, and very much wanted to retain the monarchy, thank you very much. And if that’s the case, then it’s no wonder he’s fallen out with them. So, in other words, it seems to be business as usual with the Kippers. Another member comes out as a Nazi, and causes further controversy within the party. Given the factionalism and controversies over membership that have already broken out, I do wonder how long it can continue as a single, unified organisation.